We are releasing on average between 12-16 premium and 3-5 free resources a month. 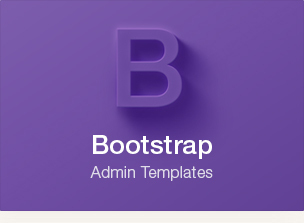 It depends on the type of resources, for instance mockups take more time to create than text effects. You can expect to get 150-200 quality resources a year from us. We take great pride in releasing only quality resources for our users. We craft all our files with great attention to detail to ensure that every items we offer can really be useful in your daily activities. We want our members to know that everything will be top notch and not have to worry about inconsistent and crappy resources. I can't find what I am looking for, what should I do? Using our design request system, you can ask for a specific resource that we will create for you. Creation of those resources are prioritized by relevance and our members votation. Once created we will release it to you and to all our members. 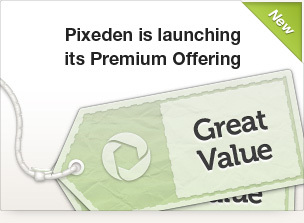 We launched PixEden in 2011 as a community freebie web resources website. We then added our premium offering in July 2012, creating the limited liability company Pixeden LLC, as a way to dedicate ourselves to our project full-time and keep offering free resources to our users while also crafting awesome premium resources. How do I get my sales receipt, W-9 Form? If you registered for a premium account, you can update your billing information with your full name, company name, address... and send your sales receipt to your email with a click of a button in your account center. Alternatively you can print your sales receipt by clicking on the Print Receipt link in your Paypal account. If you need Pixeden LLC W-9 Form for your accounting, please contact us directly. Monthly - Yearly vs Year plan, any difference? Our monthly and yearly plans have recurring billing and are renewed automatically every 30 days for our monthly plan and every 365 days for our yearly plan. Our year plan is not renewed automatically and you'll have to manually renew it before the end of the membership period. Can I upgrade my plan after my registration? Yes, you can upgrade your plan to another plan at anytime if you wish so. Simply click on the upgrade button in your account area and pick your new plan. You can go from a free account to a premium account or from a monthly premium plan to a yearly premium plan for instance without having to create another account. Yes, of course. You can cancel your membership at any time from your account area by clicking on the cancel button, it's that simple. We want you to be happy with or without us, although we'll be sad to see you leave. Do I need a Paypal account to subscribe for a premium membership? With all our plans, you can directly checkout with any major credit card. 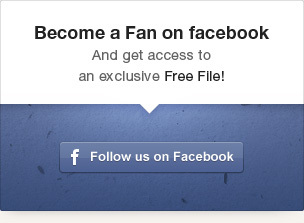 Signing up for a PayPal account is optional. You may use your credit or debit card instead. At checkout click on the "credit or debit card" link and then just fill out your payment information. Please contact us if you have any questions, we'll be happy to assist you.